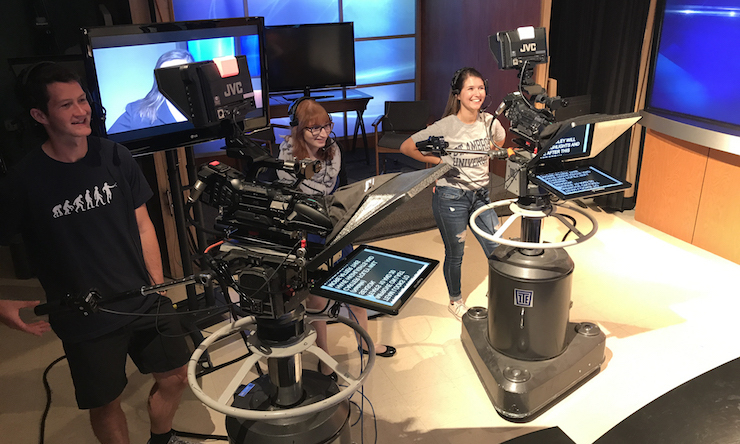 Whether you aspire to rock the airwaves as a radio personality, seamlessly produce the newscast, or break news as a big network reporter, St. Ambrose has the program, the facilities, and the opportunities that prepare you to achieve your goals. Our graduates work at CBS, Big Ten Network, Harpo Productions, KWQC-TV, NBC Olympics, and many other TV and radio outlets. Our expert faculty encourage creativity, hone your professional skills, and guide you in mastering state-of-the-art technology used in TV and radio stations today. You will be exceedingly prepared to immediately launch your career or enter graduate studies. With two radio outlets and a TV station, the SAU Communication Department gives you plenty of experience – and sets you up for valuable internships – to get started on your broadcasting career. You'll learn every stage of radio and television production: writing for Radio/TV, media ethics, and news broadcasting and audio production. Other courses teach you skills in media management and give you a foundation in communication law. KALA Radio broadcasts 24/7 on 88.5 and 106.1 FM, featuring everything from blues to gospel to urban to rock. We also have The Stinger, an online-only radio station featuring pop, alternative, and some new country music. 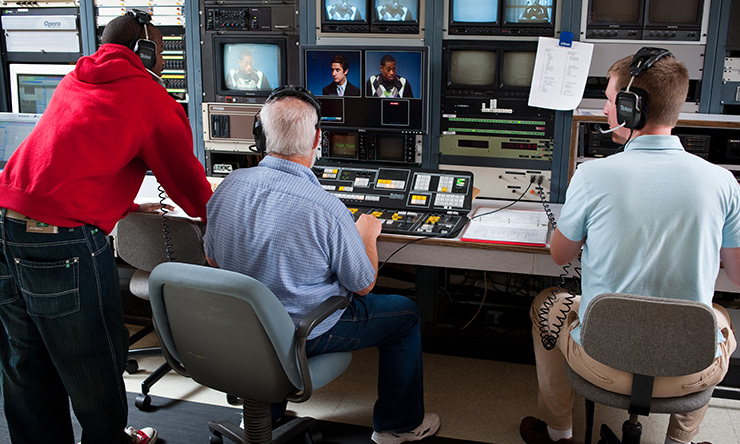 Best of all, our students choose the shows, program music, edit news specials, volunteer at community events, and broadcast live sporting events under the direction of an expert staff advisor. Our faculty encourages their students to be creative and professional, and they soar. Each year they earn several awards from the Iowa Broadcast News Association (see below). 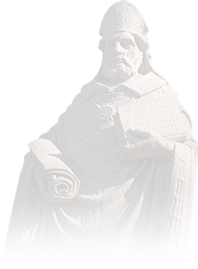 The Communication Department at St. Ambrose has been winning awards for many years. Here are the most recent awards. Former Ambrosians Janelle Tucker (KMCH radio, Manchester, Iowa) and Mike Ortiz '87 (KWQC-TV) again won awards this year from the IBNA. SAU senior Mitch Widmeier earned top honors at the prestigious Eric Sevareid Awards. He won first place for sports play-by-play and an "Award of Merit" for his "Unsportsmanlike Conduct" sports talk show on KALA. Each year, the Midwest Broadcast Journalists Association presents awards to the best work done by broadcast news operations and journalists working in small, medium and large markets in the six-state region of Minnesota, Wisconsin, the Dakotas, Iowa and Nebraska. Former Ambrosians, Mike Ortiz '87 (KWQC-TV) and Janelle Tucker (KMCH radio), were IBNA award winners as well. Additionally, John Kealey, Jay Swords and David Baker '88 garnered a "Large Market Radio" award in the Public Affairs category for the interview/discussion show, "Relevant Or Irrelevant." It was also a great night for KMCH radio in Manchester, IA. Station news director (and former Ambrosian) Janelle Tucker accepted awards for 1st Place for Overall Excellence in Small Market Radio, 1st Place for Overall Excellence in Anchoring, 2nd Place for Feature Story, 3rd Place for Best Newscast, 3rd Place for Political Coverage and Honorable Mention for Overall Excellence in Reporting. KMCH was also honored with 1st Place for Overall Excellence in Weather Coverage and Janelle was elected to the board of the IBNA. She writes, "Congrats to SAU on all the awards... Proud to have roots at St. Ambrose." What other unique learning opportunities do I have? You can build your reporting and communications skills by getting involved with The Buzz, SAU's student-run newspaper. When you join the staff, you can help choose content, report and edit stories, handle design and layout pages, be a photographer, and sell and design advertising. Radio and Television majors have interned with local NBC, CBS, ABC, and FOX affiliates, and with many area radio stations. Public Relations and Strategic Communication majors have interned with Quad City Mallards, Genesis Medical Center, The District of Rock Island, Quad City River Bandits, and several advertising and public relations agencies. 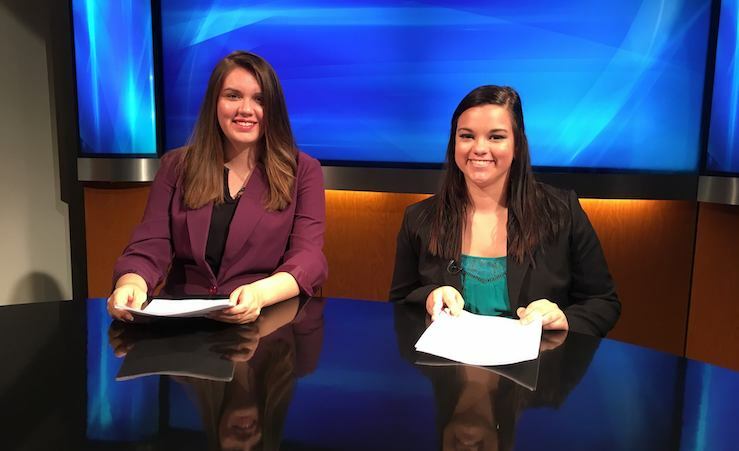 Journalism students have interned with local NBC, ABC, CBS and FOX affiliates, and newspapers including the Quad-City Times and The Dispatch/Rock Island Argus. Many of our graduates work at TV and radio stations, as on-air talent, producers, directors, photographers, and more. You'll also find jobs at corporate audio/visual production departments, training centers, or creative agencies. Stephanie (Massick) Alexander '01 is a Public Relations Specialist at Skiff Medical Center. Previously, she worked as a print journalist and copy editor, and as a writer and web designer for a major healthcare provider. Kelly Christopher '02 has skills at the camera and a love for sports which have taken him coast to coast. NFL Superbowl? NBA All-Star Game? Major League baseball playoffs? He's been front row (and sometimes on field) at all of them as a freelance camera operator. A Des Moines native, Kelly also was a student-athlete at SAU. Haley Gibbs '16 was always on the move at SAU. She was editor-in-chief of The Buzz, an intern at KALA and KWQC-TV, and a top reporter/anchor for SAUtv - all while completing a double major in Journalism and Radio/TV, along with a minor in Spanish. A winner of several student awards from the Iowa Broadcast News Association, she has taken her passion for writing and storytelling to RealWorld Marketing in Scottsdale, Arizona. C+ required in 224, 225, 230 and 232. C+ Average required throughout the major. This is the suggested plan of study to graduate in four years with a degree in Radio/TV. This plan assumes the student has not taken three years of foreign language in high school. Note: Some courses need prerequisites, which have been factored into this plan. "A couple months after graduating, I landed a job doing exactly what I wanted to: reporting the news. Six months later, I was able to jump more than 30 markets and do the same job in a much bigger city. Because of the hands-on experience offered at SAU, I entered my field already familiar with the expectations of a professional journalist." Read about another Communication Department graduate, Tim Bladel '14.